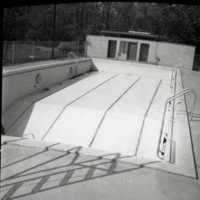 Photograph of the pool at the Boy Scout camp Camp Robert Faries in 1954. 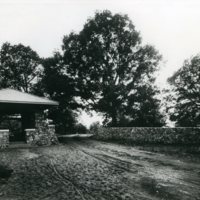 Entrance of the Country Club of Decatur at the South End of Jasper St. 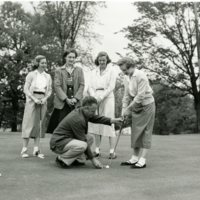 Photograph of unknown women and man playing golf at the Country Club of Decatur on May 2, 1952.